While some may think the floating blue arrow is there for the reader’s convenience…Japan is actually littered with them…just pointing at things, emitting a soft glow, sometimes bobbing lightly, maybe making a faint *boink* sound. 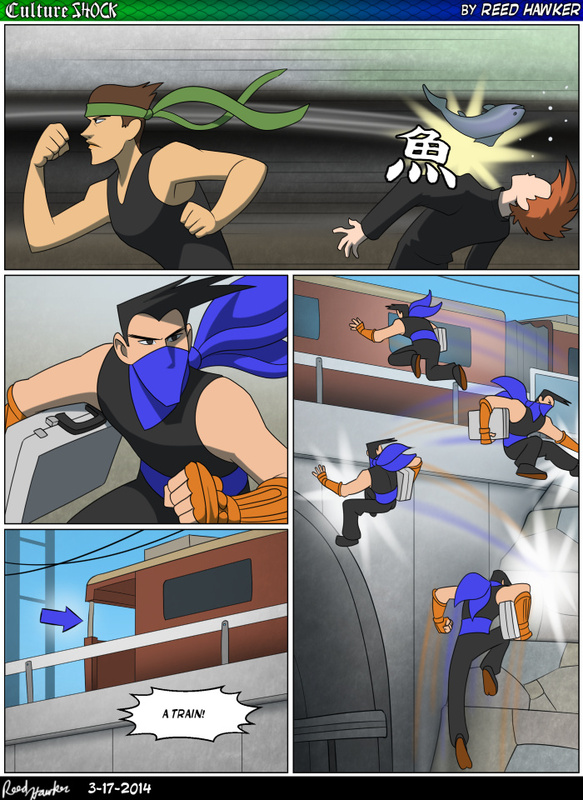 While Tadashi is a great fighter and acrobat, the fact that he can still be seen mean that he is a terrible ninja. @sydimini He’s probably trying to be seen…something tells me the briefcase is empty. That sound effect is beautiful.